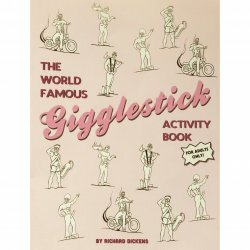 Woodrocket presents for your entertainmet the world's dirtiest coloring book! Contains equal amounts of both naked women and men. It is a perfect gift for nearly every occasion, from Valentines Day, to bachelorette parties. A very NSFW coloring book featuring dirty images of all kinds. Color in your own fantasy! This adults-only coloring book will make you laugh and blush with high quality artwork and made of very high quality stock & paper. You wanna know why this coloring book is called "The Dirtiest Coloring Book Ever?" Because it is The Dirtiest Coloring Book Ever! We've covered just about every fantasy & fetish, so grab your partner, or partners, and your crayons and let's get dirty!